For years, private manufacturers that made replicas of classic sports cars have been tolerated by the auto industry. They create interest and foster goodwill towards automobile brands by idolizing certain models of cars. But according to an article in the Detroit News, GM is cracking down on one small time replica manufacturer, alleging trademark infringement. 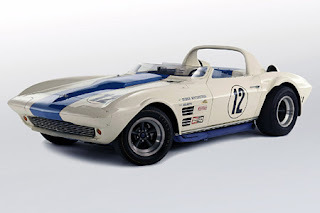 GM filed suit against Mongoose Motorsports LLC, an Ohio-based auto parts retailer and part-time manufacturer of the 1963 Corvette Grand Sport. The Grand Sport is one of the rarest and most valuable sports cars ever; only five were built. Mongoose Motorsports sells a replica Grand Sport for $90,000, while the authentic car goes for several millions at auction. But Mongoose is in no way licensed to sell the cars, and apparently enough of them are being produced to dilute the market. “This is not an homage,” said GM spokesman Tom Wilkinson. The problem is that Mongoose is marketing exact replicas of the 1963 car, complete with trademarked Corvette logos.